Some of the personalized bricks outside Wrigley Field turned up in Pontiac, where they were apparently taken from a landfill. 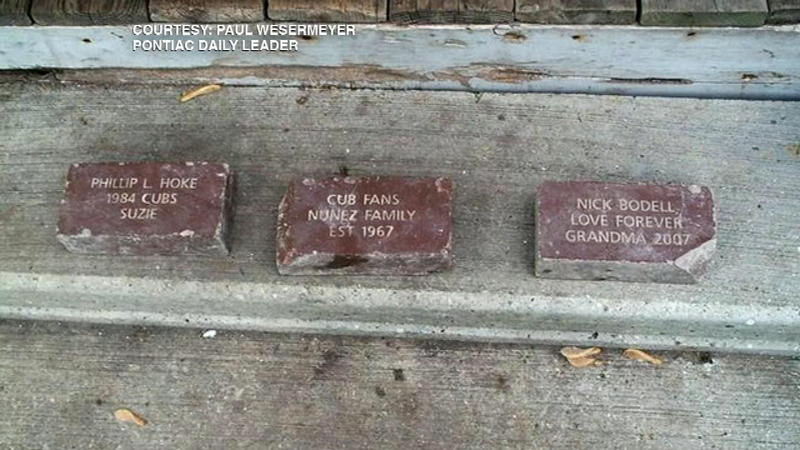 CHICAGO (WLS) -- Some of the personalized bricks outside Wrigley Field turned up in Pontiac, where they were apparently taken from a landfill. Now, the Cubs are explaining what happened. The team says the bricks were moved for the Wrigley construction project. The Cubs expected many of the bricks would be damaged in the move. They say the plan has always been to dispose of the original pavers and replace them with new ones. The team says owners were notified.